One of the most important steps in the purchasing process is to select the supplier that best meets your organization's purchase needs. To help with this part of the process, organizations develop supplier evaluation criteria and use tools designed to conduct a comprehensive and objective evaluation of suppliers. Once the supplier is chosen, the next step is to formalize the deal through a contract that outlines the terms of the supplier-buyer relationship. Reaching agreement with suppliers over contract terms requires purchasers to be effective negotiators. This course discusses how to choose suppliers using the supplier evaluation and selection process. It explains how to create a supplier evaluation matrix, comprised of various predetermined criteria, and use the matrix to evaluate and select the best proposal. 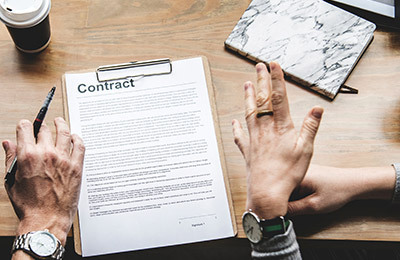 The course also outlines some key principles of effective negotiation and introduces common types of contracts that are used to meet different purchase requirements.